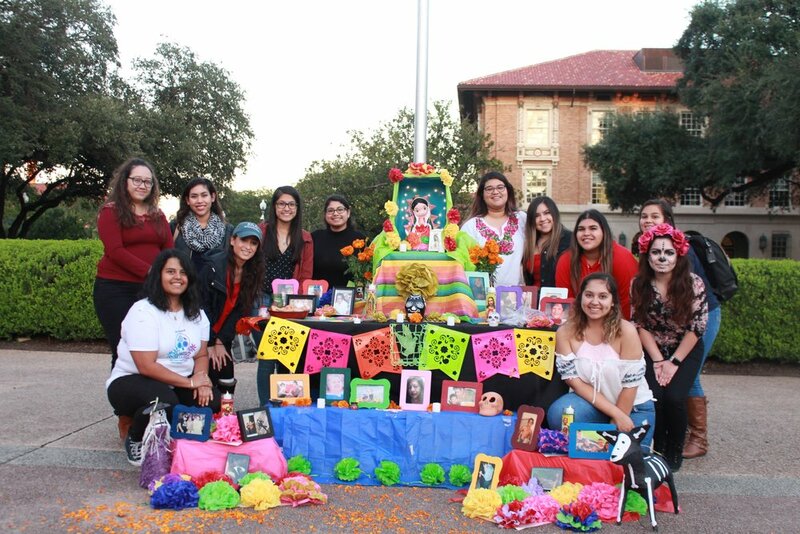 In one of the most visible areas on campus, Latinx organizations came together to introduce Día de los Muertos to University of Texas at Austin students. Through a vibrant and beautiful exhibition of culture, they carried on the Mexican tradition of celebration through mourning. 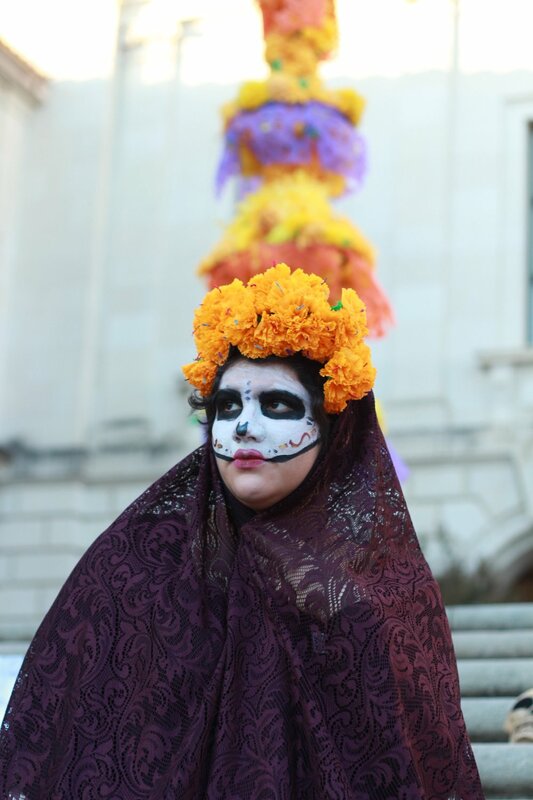 UT Austin’s Main Mall was decorated with a different shade of orange on November 1 as cempasúchil petals, or for those who haven’t watched “Coco,” Mexican marigolds, lit up the square for a Day of the Dead celebration.The petals were scattered across the front steps of the Tower, accompanied by larger-than-life skeleton statues and black-and-white photographs of Latino men. 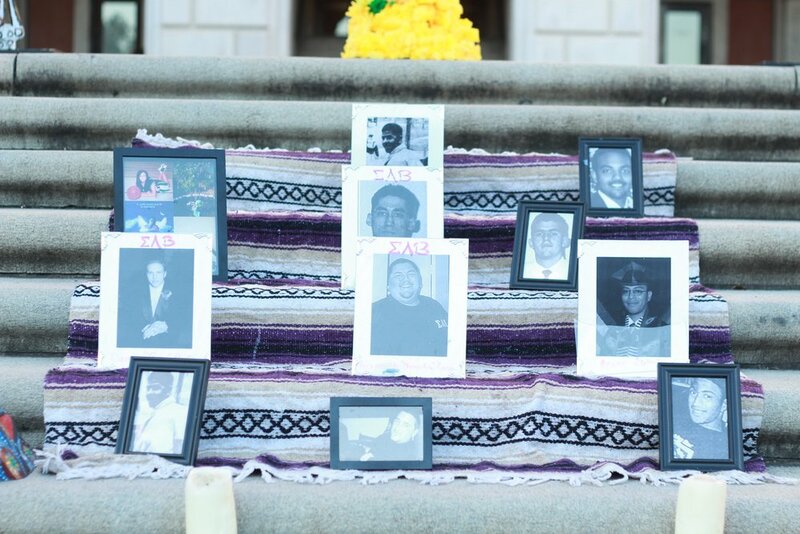 The photos depicted deceased members of Sigma Lambda Beta, a Latino fraternity who organized the event. The Main Mall was filled with tables set up by Different Latinx organizations, ranging from Greek life chapters to law and business organizations, filled the Main Mall with tables to represent their group. Yet, while the holiday is a Mexican tradition that predates colonization, the visibility of this UT celebration is far from ancient. 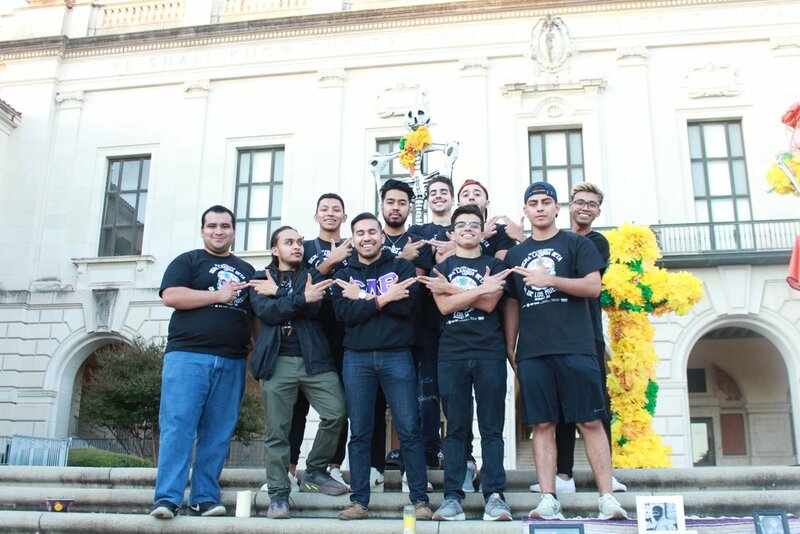 Heriberto Caro, a Beta and the event’s organizer, explains that the fraternity’s campus-wide celebration dates back to 1996 and has come a long way. It was kept hidden in the margins of campus, with very few Latinx students having the opportunity to participate. This did not change until 2004, when the festivities moved to the Main Mall. Caro says the location of the event “puts an aspect of Latinx community in a spotlight we’re not given usually.” As a third-generation Mexican immigrant from a predominantly Latinx town, Caro says he did not have much appreciation for the holiday or his culture growing up. Coming to a predominantly white institution (PWI) changed that. For Caro and countless other Latinx students, college may be the first time they are surrounded by people who look and sound different from them. This means that cultural understandings and traditions, such as Día de los Muertos, takes a backseat during times of campus-wide celebration. Natalia Rocafuerte's Catrina costume shows a modern adaptation of the Aztec goddess of death, a prime example of the traditional beauty shown in the holiday's aesthetic. This adjustment has different effects on students of color. For Caro, it sparked a newfound pride in his Latinidad and taught him why the celebration of this holiday in a predominantly non-Latinx space — be it campus or the country —is so important. Now more than ever, people of color need spaces where they are allowed to mourn openly and in their own way, without fear of being misunderstood or appropriated. The Main Mall gave Latinx students a place to do so as openly and proudly as possible. Natalia Rocafuerte of Austin’s Mexic-Arte Museum, which lent the festival many of its decorations, explains the holiday was initiated by Aztecs in pre-colonial Mexico. It transcends the popular understanding of death and life as two separate states of being and instead, views death as a continuation of life. It adds something to be celebrated rather than ignored. Día de Los Muertos is not about the end of life, but rather a “transcension of the self, which says a lot about how Mexico and Mexican culture sees death and life as two sides to the same coin,” says Rocafuerte. While many choose to celebrate their loved ones who have passed, the University Leadership Initiative demonstrates how the holiday and its traditions can go beyond bloodlines. 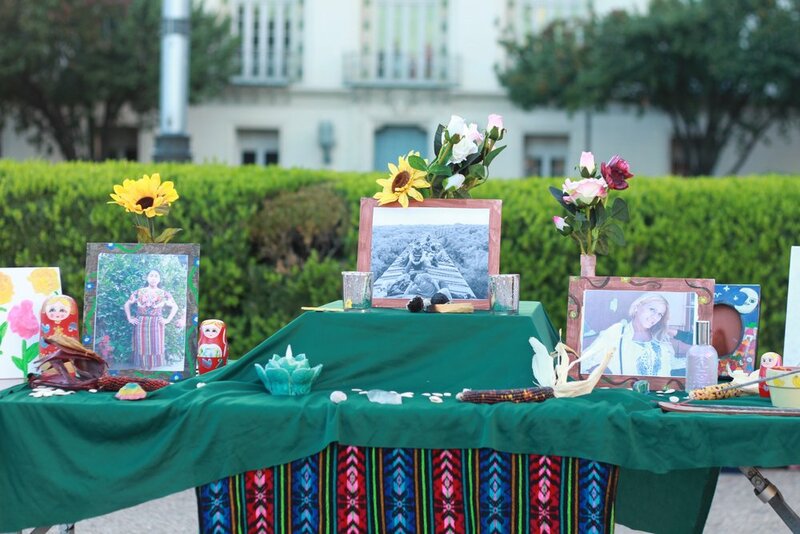 The organization, led by undocumented students on campus, decided to set up altars for migrants who have faced death upon migrating to the United States. These are bodies that did not receive a proper burial and have instead been swallowed by a desert they never made it out of. Other stories include that of Roxanna Hernandez, a transgender women who was put into a men’s asylum. Her poor treatment ultimately resulted in her untimely death. Día de los Muertos is a celebration, but it is also a time to bring injustices back to life. The Mexican people have been subjected to violence and death throughout history. 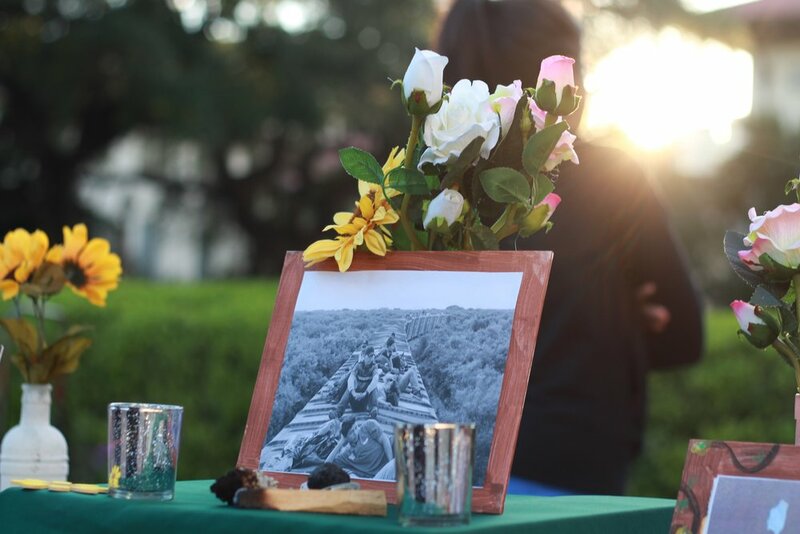 While the celebration presented the beauty of Mexican traditions to the UT community, it also showcased the pain from which the holiday emerged. Ultimately, the event was one of the few times UT’s Latinx community was able to take center stage. Caro explains the main goal of the event was to provide the university with an “opportunity for wisdom, wisdom for culture.” Passersby were instantly drawn to the extravagant altars and vibrant colors as well as guest speakers and a mariachi band to close the night. 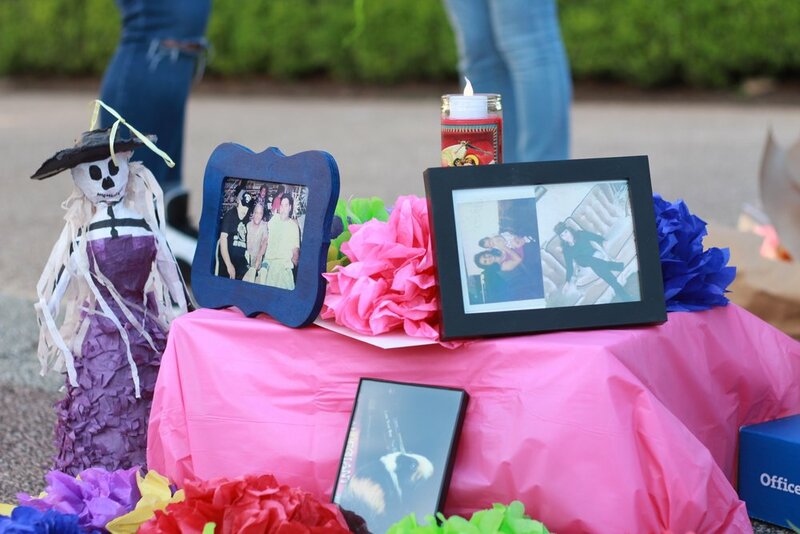 Latinx students were given a space to celebrate and mourn alongside one another. This event sparked a conversation about the importance of students learning from each other’s cultures. Attendees are hopeful that the Main Mall will be covered in cempasúchil flowers, altars and Catrina costumes for years to come. 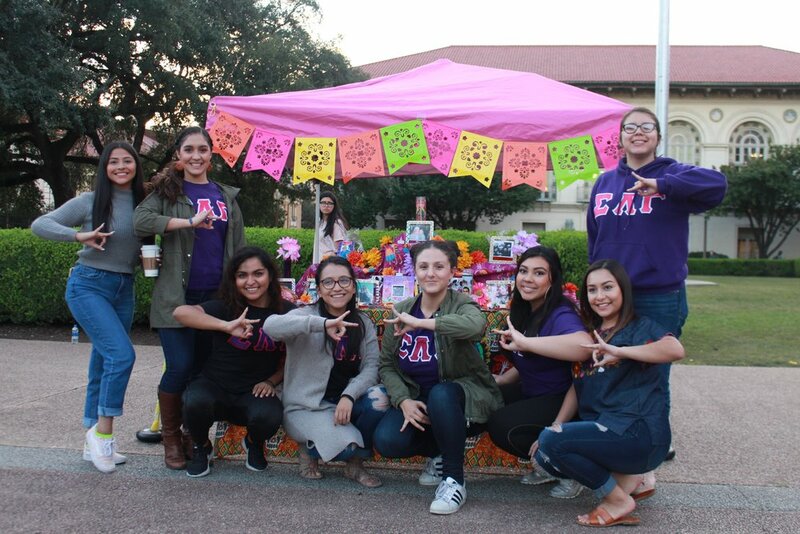 Members of Sigma Lamba Beta, the largest Latinx fraternity chapter in the nation, organized an on-campus Día de Los Muertos celebration. Vianey Jauregui, Alicia, Andrea Martinez, Alyssa Victoria Garza, Alejandra Lozano, and Emily Cardona, are members of a Latinx pre-health organization. They believe it is important to represent minorities in the medical field, and overcome cultural barriers in order to serve their community. Natalia Rocafuerte of the Mexic-Arte Museum, speaks about the cultural and historical importance of Día de Los Muertos for Mexican families. 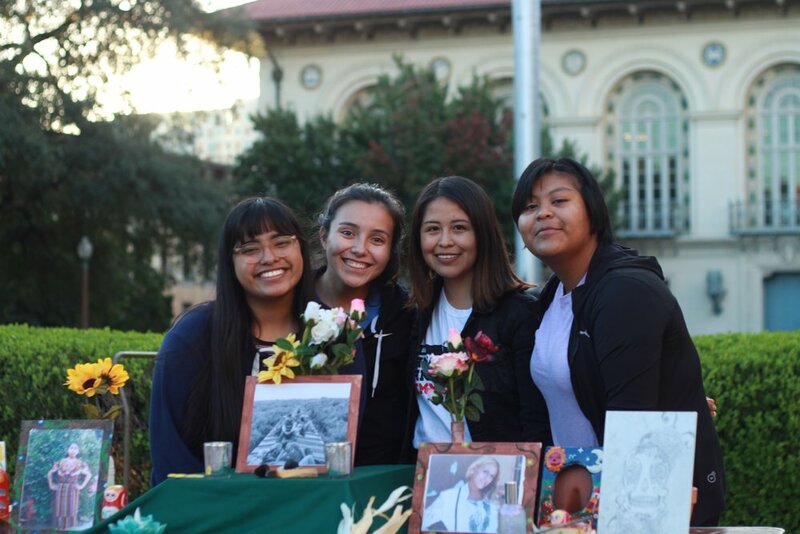 Maria Jose De La Cruz, Mariana Monroy, Vanessa Rodriguez, and Diana Feliciano pay their respects to those who have lost their lives at the hands of racial and sexual oppression. The women of Sigma Lambda Gamma proudly represent their name and their altar that is full of symbolism. From the colorful paper reminding viewers of the fragility of life, to the marigold's sweet scent which guide the dead towards the altar. The women of Sigma Delta Lambda emphasize that their altar is more than just a theme. Rather, it shows a personal reflection inside each of their lives as they display those who have passed. 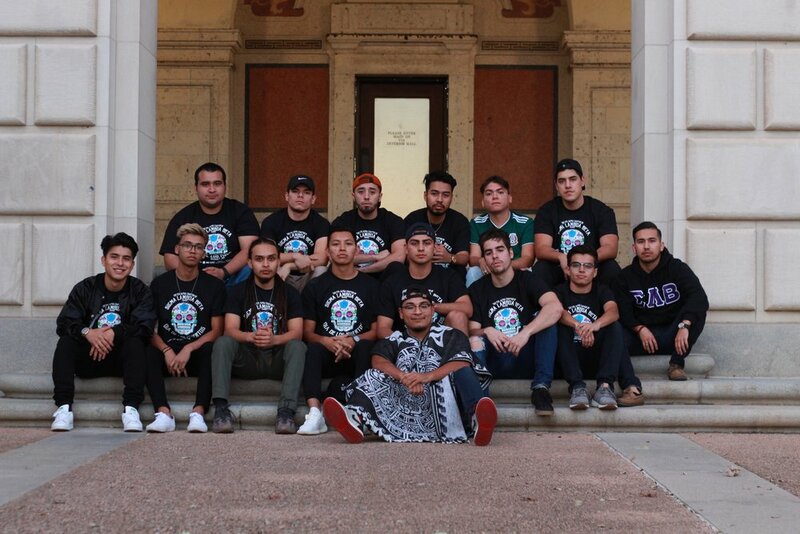 Men of Sigma Lamba Beta, also known as the Texas Powerhouse, cross cultural barriers and redefine what it means to be Latinx.